The top results at the Artcurial Paris Rétromobile 2018 sale were €2,903,200 for a 1938 Bugatti Type 57C Coupe Atalante and €2,674,000 for a 2006 Ferrari FXX – both world record auction prices for the models. The most-expensive car at the Artcurial Paris 2018 sale was rather appropriately for an auction during Rétromobile week a classic 1938 Bugatti Type 57C Coupe Atalante that sold for a model record €2,903,400 ($3,557,376). With the Le Mans-winning 1963 Ferrari 250 / 275 P withdrawn prior to the auction and the 1958 Ferrari 250 GT Cabriolet Series 1 failing to sell, the top Ferrari result was €2,674,400 ($3,277,000) for a barely used 2006 Ferrari FXX – another auction record. 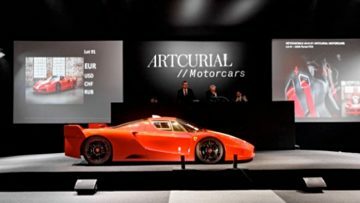 Artcurial sold seven cars for over a million dollar and achieved 13 new model world record prices as the Artcurial Paris Rétromobile 2018 sale. The annual Artcurial Salon Rétromobile classic car auction was held on 9 February 2018 in the Rétromobile Hall in Paris. On 10 February 2018, Artcurial sold nearly 80 prewar motorcycles and cars in a separate sale at no reserve. In 2018, Artcurial earned €31,815,556 ($38,814,990) at Paris Rétromobile with a relatively high 86% sell-through rate. Artcurial claimed 40% of lots sold for above estimate but was unfortunate that several top cars failed to reach reserve margins in addition to the Le Mans-winning Ferrari being withdrawn two weeks before the auction. Prices include premium. Auction held in euro. Conversion at €1=$1.22. The top result at the Artcurial Paris Rétromobile 2018 sale was somewhat surprisingly not a Ferrari but rather a very worthy 1938 Bugatti Type 57C Coupé Atalante that sold for €2,903,200 – a new auction world record for the model. 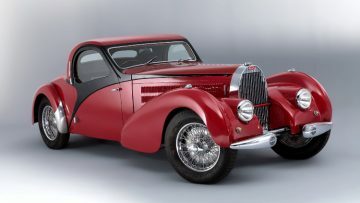 The 1938 Bugatti Type 57C Coupé Atalante was the 25th of only 34 Atalantes built on the Bugatti 57 or 57C chassis. This car was the 1938 Geneva Auto Salon show car and maintained its original aluminum body and engine to which the factory fitted a supercharger in 1952. The 1938 Bugatti Type 57C Coupé Atalante was the second most-expensive car sold during the Paris Rétromobile 2018 week auctions. The top result was for a Bugatti nearly 80 years younger – $4 million was paid for a 2017 Bugatti Chiron at RM Sotheby’s Paris 2018. With the Le Mans-winning 1963 Ferrari 250 / 275 P withdrawn prior to the auction and the 1958 Ferrari 250 GT Cabriolet Series 1 failing to sell, the top Ferrari result was for a 2006 Ferrari FXX that sold for an auction model-record €2,674,000 ($3,277,000). This Ferrari FXX was sold with less than 100 km driven and sixth gear never engaged. It is one of only 38 examples built by Ferrari for track-use only but the original owner preferred not to take part in the racing program. The original transportation crates and unused spares were included in the deal. In contrast to the FXX, the 1954 Maserati A6 GCS/53 Spyder with coachwork by Fiandri and Malagoli was enthusiastically raced by its early owners and participated in the 1955 Mille Miglia. 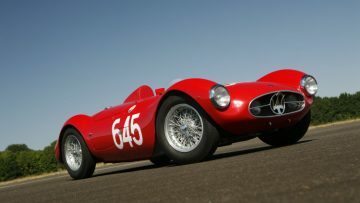 The 1954 Maserati A6 GCS/53 Spyder sold for €2,445,600 – another auction world record. It is one of only 60 examples built. It retained its original engine and most of its original body and mechanical components. 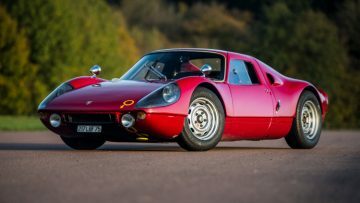 A 1964 Porsche 906 GTS sold for €1,873,600 – just above upper estimate. Like the Maserati, this Porsche came with an extensive racing history that included participating in the 500 km of Spa and the 1000 km of Nürburgring. This 1964 Porsche 906 GTS was the third from last of 50 examples built. It had only four owners from new and only two since 1970. After seven Mercedes Benz 300 SL cars were offered just weeks previously at the Scottsdale, Arizona, auctions, it was somewhat surprising that this 1955 Mercedes Benz 300 SL Gullwing at Artcurial was the only standard 300 SL on offer during Rétromobile week 2018. It sold for a magnificent €1,158,270 ($1,419,156) – well above upper estimate. This Gullwing is a matching numbers example in a fully restored condition. It has 59,170 km on the clock of which the last owner added only 400 km since 2003. The 1957 Mercedes-Benz 300 SL Roadster to SLS Aluminium Competition Specification at Bonhams sold for a rather disappointing €632,500 ($775,000). A 1990 Ferrari F40 sold for €953,600 ($1,168,414) toward the upper end of estimate at the Artcurial Paris Rétromobile 2018 sale. It was a fairly good result for an F40 with no special distinctive features. It has covered 29,000 km since new, which is not particularly low, or high, for the model. A 1951 Porsche 356 Pre-A 1300 sold for a model world record €894,000 at the Artcurial Paris Rétromobile 2018 sale. The unexpected result was well above the pre-auction estimate of €440,000 – €520,000. 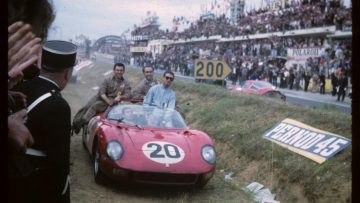 The biggest disappointment of the Artcurial Paris Rétromobile 2018 sale was of course the withdrawal of the Le Mans-winning 1963 Ferrari 250 / 275 P only two weeks before the scheduled sale. This car was the last Ferrari to have won the Le Mans 24 Hours race as an official Scuderia Ferrari entry. It was part of the Pierre Bardinon collection and its withdrawal was due to ongoing legal proceeding to finalize his estate – something notoriously complicated in France. 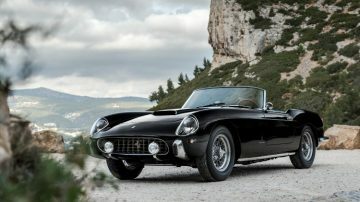 The other top Ferrari, the beautiful 1958 Ferrari 250 GT Cabriolet Series 1, chassis 0849GT, also failed to sell with the highest bid of €5.5 million not clearing the reserve. If accepted, the result would have been a million dollar higher than any Series 1 price achieved at auction since at least 2014. A similar high bid of $6.4 million failed to buy a Series 1 Cabriolet a few weeks earlier at the Gooding Scottsdale 2018 sale. The highest bid for the 2007 Ferrari Enzo was similarly not far off recent auction results for cars without special provenance or very low mileage. The car on offers had almost 20,000 km on the clock. 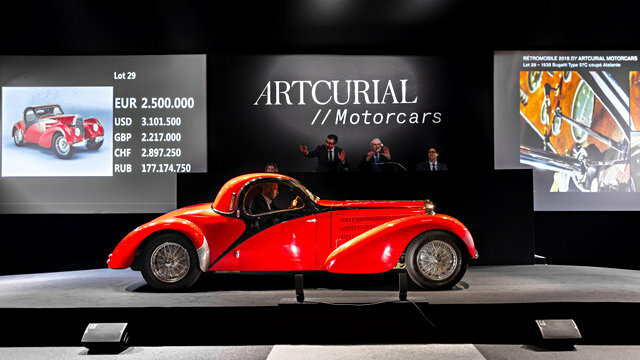 Artcurial’s next major car auction is the Automobiles sur les Champs sale in Paris in early April.